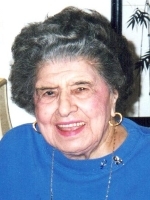 ALBANY – Josephine M. DeMase Sebast, at the age of 103, died Wednesday, March 30, 2011 at the Teresian House. Mrs. Sebast was born in New York City, the daughter of the late Nicholas and Marguerite Cozzi DeMase. She lived in Albany since the age of seven. She was employed by the New York Telephone Co. in Albany for thirty years, retiring in 1966. She was a member of the Telephone Pioneers of America and the Telecommunications Credit Union. She also was a communicant of the former St. Margaret Mary’s Church in Albany. She loved gardening and playing cards with her sisters and friends, and she also enjoyed fishing with her husband. Mrs. Sebast was predeceased by her husband Paul W. Sebast and her daughter Margaret E. Sebast. She is survived by her daughter Ricki Lordi (John A.) of Williamsville, NY; her grandchildren Margaret Ellen Santomauro (James), and John Frederick Lordi; her great grandchildren Joseph A., Michael J., and Matthew J. Santomauro; and by several nieces and nephews. She was predeceased by her sisters Frances Denublio, May Rinaldi, Vincie Sparapany, Julia DeMase, Dorothy Leak, Marjorie Zahn, and Kathryn M. Demase; and her brothers Vincent James and Dominic. Funeral services will be held in the Hans Funeral Home, 1088 Western Ave., Albany, Monday morning at 8:45, and from there to All Saints Catholic Church (formerly St. Margaret Mary’s Church) at 9:30. Relatives and friends are invited, and may call at the funeral home Sunday from 2-6 p.m. Interment will be in St. Agnes Cemetery, Menands. 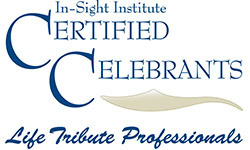 Memorial contributions may be made to Autistic Services, Inc., 4444 Bryant and Stratton Way, Williamsville, NY 14221; or to The Leukemia & Lymphoma Society, Upstate New York/Vermont Chapter, 5 Computer Dr. W # 100, Albany, NY 12205. To leave a message of condolence for the family, send a sympathy card, or obtain directions to the funeral home, please visit www.HansFuneralHome.com.